Tonight officially kicks-off America's Got Talent's first live episode, where twelve acts will compete in hopes of securing one of the top five spots to advance to semi-finals. By now it should be no surprise that only one all-vocal group still remains in the competition and that is none other than the men in blue, In the Stairwell from the United States Air Force Academy. In the opening week, the group performed an energetic, pop-heavy rendition of One Direction's "Drag Me Down." After some criticism from Howie Mandel, the group returned with a spirited cover of NSYNC's "Bye Bye Bye" helping them to advance through the Judge's Cuts. Tonight begins the live episode portion where audiences will have the final say in who goes through to the remaining rounds. And it all comes down to audience votes. From the end of the live show till 7 AM/ET on August 16th, fans can vote to help propel the group through to the semi-finals. Via NBC/AGT app, which can be downloaded here. Fans can vote up to ten times via each method for a total of 30 votes. Let's help this talented group go all the way to the finals. 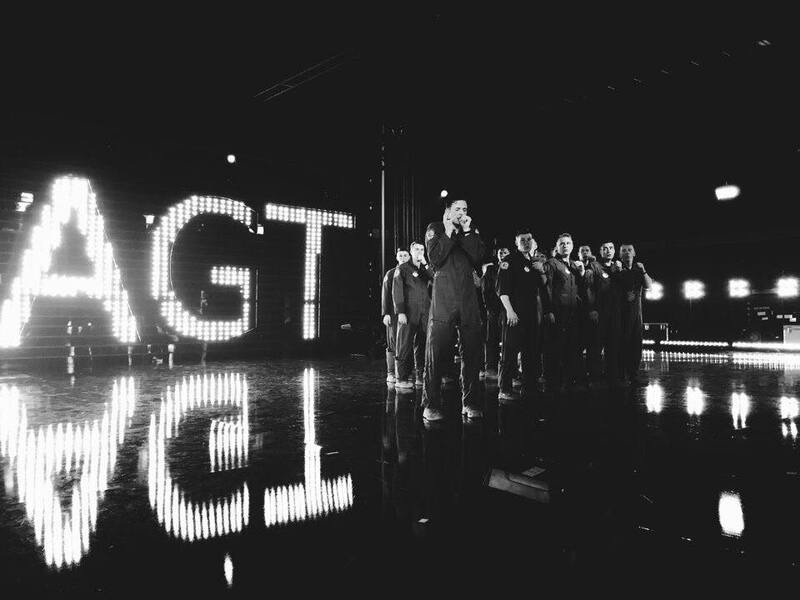 Be sure to watch America's Got Talent at 8/7c. See all of In The Stairwell's previous performances below.